Overwhelming research demonstrates that goal setting has a powerful influence on individual performance and motivation. Goals are potentially energising and motivating. Challenging goals lead to higher levels of effort. Deadlines lead to more rapid rates of work and making a ‘public’ commitment to a goal, recorded in writing, enhances personal commitment to its achievement. Goals may focus the employees’ attention too narrowly, overlooking other important features. Jobs are more than a bunch of individual tasks. So, for example, helping a colleague to solve a problem or inducting a new employee can be difficult to frame as a goal. Challenging goals may result in people ‘giving up’ as they see no point in trying. Excessively challenging goals may shift attitudes to risk taking and promote unethical behavior. Failure to achieve goals has psychological costs and can be demotivating. KEY MESSAGE: Goals are only one important aspect of the job. Where can things be done Faster/Cheaper/Better? Goals should include anticipated Outcomes and Measures. That a goal can be SMART but not wise! Is it the right goal? It can be useful to prioritize goals, so that high priority areas receive the greatest attention. 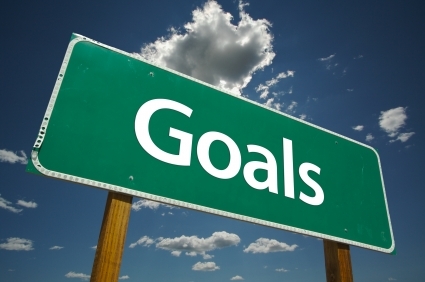 Don’t set too many goals for each individual – say, max of 3/5. Set the goal based on business need not the capability of the individual so that there is a real comparison between individuals doing the same job.